Lounging on a beach engrossed in a kindle is your idea of nothing to do. For you, things don’t start to get exciting until you’re skipping across the waves on a personal watercraft. Whether it’s spray from hitting a wave or you happen to jump off your PWC and go for a swim, you are going to get wet – it’s all just part of the fun. 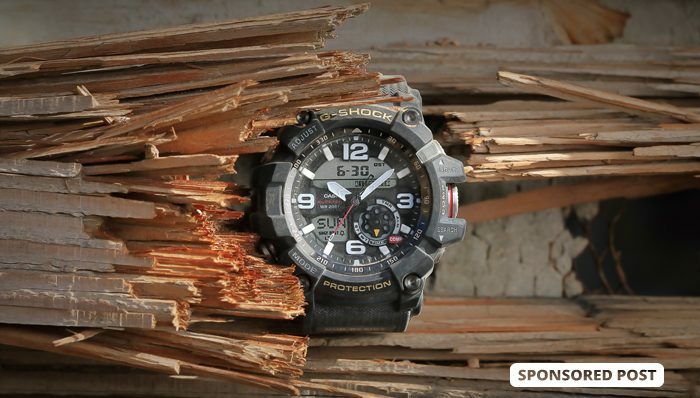 And so it’s only right that you gear up with a wristwatch that is ready for anything you are – like the G-SHOCK Mudmaster GG1000-1A. 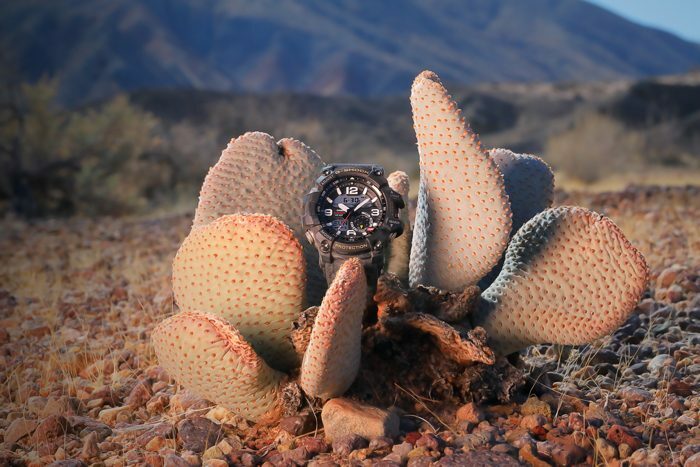 Casio launched G-SHOCK in the 1980s and has been on a mission ever since to perfect robust watches to suit the needs of all kinds of thrill-seeking adventurers who love to take things to the max. 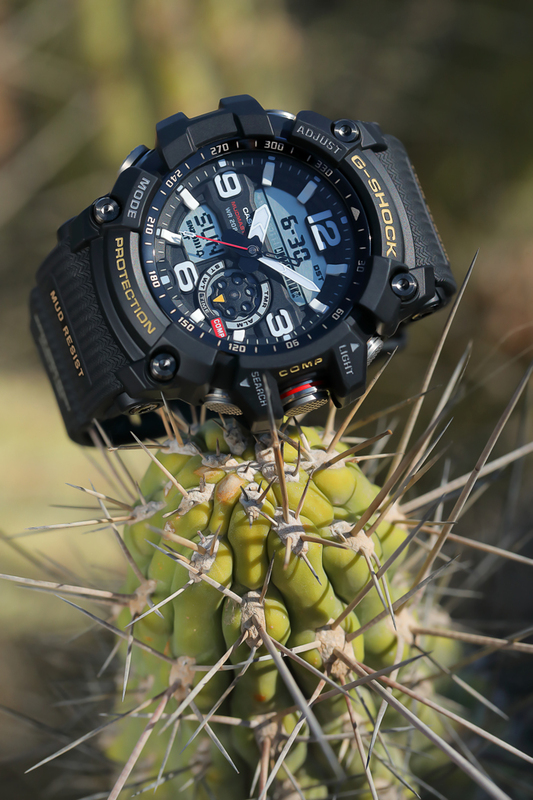 The new G-SHOCK Mudmaster GG1000-1A is no exception. 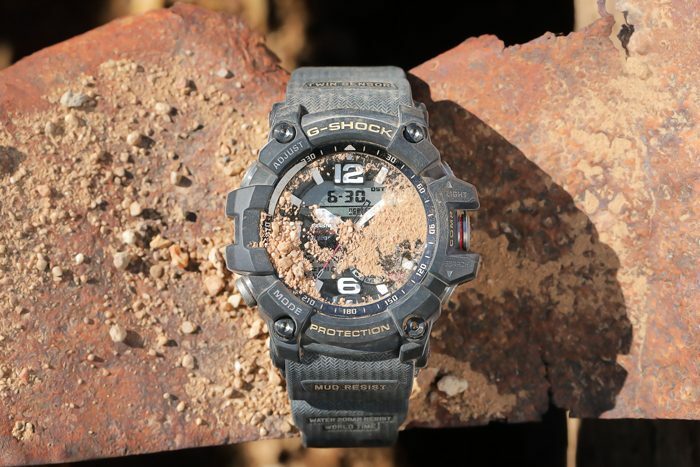 It’s built to sustain not only shock (an alpha gel is used within to protect the watch from malfunctions or damage due to vibrations), but G-SHOCK has managed to construct an indefatigable case-work that also seals it from the intrusion of water (resistance to 200 meters), dust and sand. It’s safe to say that you can slap a G-SHOCK Mudmaster GG1000-1A on your wrist in full confidence it can handle whatever your next ride can dish out. Whether you’re an avid personal watercraft rider or a keen competitor, the Mudmaster will withstand sea water conditions and perform essential functions as you glide over the whitecaps. A cylinder guard structure is put in place for all buttons, with multiple gasket linings used on the pipes that guide buttons and shafts. The pipes in question not only serve to protect the buttons from impact, but simultaneously work to enhance button operation. The buttons come in large sizing and are non-slip, allowing for ease of use when pressing, even if you’re wearing gloves. The crown is also constructed with an extremely air-tight screw-lock structure, further ensuring resistance to water should you happen to fall in while riding your jet ski at full throttle. Essential digital features will also play a part in ensuring you’re equipped with the right information for the excitement that lies ahead. The Mudmaster contains Twin Sensor capabilities which perform two functions: a thermometer enabling temperature reading, and access to direction information so you can keep track of where you’re headed. 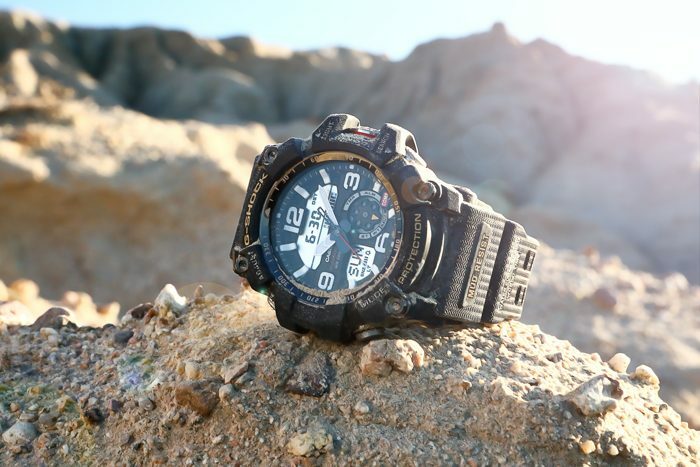 As standard, the Mudmaster includes a digital compass, 5-setting alarm system and 31 world time zone readings. Safety and protection as just as important as having fun on the water, and the Mudmaster aims to facilitate just that. Despite its rugged, masculine aesthetic, which perfectly fits in with your thrill-seeking sprees, the 56mm resin/stainless steel case wears light and comfortably on the wrist, weighing just 94g. 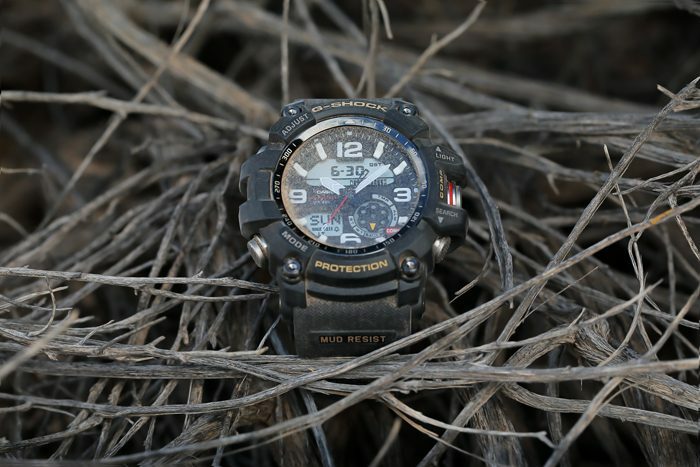 The G-Shock Mudmaster GG1000-1A is teamed with 3 color band options – khaki, sand or urban grey, perfectly blending in with its naturistic surroundings.